This week, Autism Swim were fortunate to have been invited to attend Purpose. Purpose; which is is an annual convention showcasing purpose-driven business; businesses that tackle responsible entrepreneurship and human well-being. The most comprehensive (and only) plan ever proposed to reverse global warming – by Paul Hawken http://www.drawdown.org/ (spoiler alert: number 6 is educating young girls). Other priorities are refrigeration, waste and plant-based diet. Sara and the team at Re-Purpose for Good - Turning plastic waste into 3D printed Prosthetics. Eco store – Malcom Rands started ecostore in 1993 in response to being outraged by the amount of toxic chemicals in cleaning and body care products. 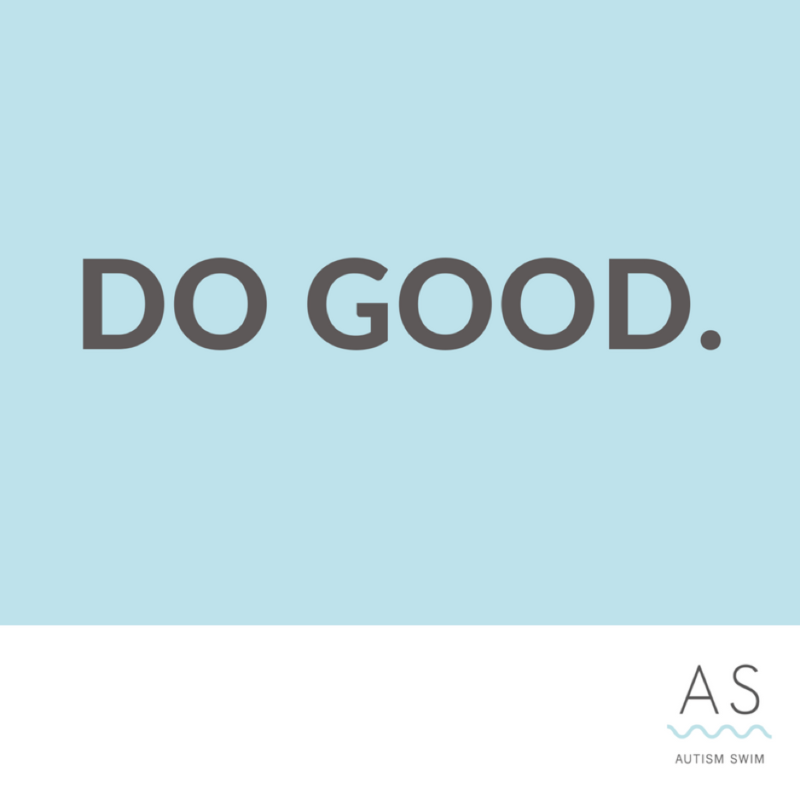 I’m still on a massive inspirational high, so instead of focusing this blog on ASD, I thought I’d explore the concept of simply, “doing good”. 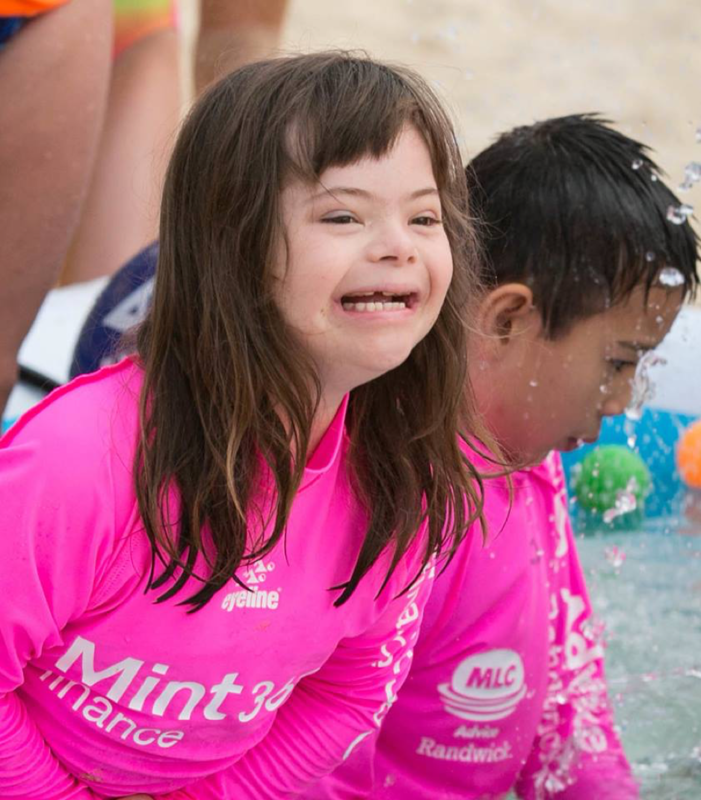 I t’s no secret that Autism Swim’s mission is to enhance the safety and the lives of people with a disability However, in pursuit of our mission we must also encourage others to facilitate change. Momentum will only occur when people recognise the need for change and take a step to facilitate it. When I stumbled across the drowning statistics in children with ASD, my personal and professional objectives were fundamentally altered; I knew I had to do something about it. I wasn’t trying to be a hero, but the statistics moved me so significantly, that I couldn’t go back to my ‘old normal’ until I knew action was being taken – and based on my research, very few people were taking it! My ‘new normal’ shifted to trying to balance my commercial mind with my social heart to reduce these statistics. This balance is not always easy, but it’s been a lot easier than the way I feel when our oceans and pools take another helpless child. We all have something that doesn’t sit well with us; something in the world that we would like to see done differently or better. The first step is answering the question: what is it for you? You have to have one. The second step is to simply START THE CONVERSATION. It’s that easy. Start talking to people. Put the problem out there. This is action in itself and we’d be mighty proud if you took it. Find some people around you that align with the direction you’re taking. I have been so incredibly fortunate to have had a couple of close friends believe in AS from the beginning, and also believe in my ability to execute what I knew was needed; and they have been there every step of the way (and are now on the AS board). For you, it may be a family member or a colleague at work. Find or create your change-making tribe. During our program seasons, we coordinate over 100 volunteers each week, who get up at ridiculous-o’clock on a Sunday morning to help our program participants. The overwhelming consensus from all of them is that they get just as much (if not more) out of giving their time to the experience as the participants do. Getting involved in something that has a positive social or environment impact will enrich YOUR life, and will undoubtedly, connect you with some of society’s best human beings. Everyone is time poor. Trust me, I get it. I wrote this blog over three consecutive mornings whilst waiting for my long black. I would normally spend that 4 mins mindlessly scrolling through Instagram (like the 70% of people around me). We all have 24 hours in a day; it’s about MAKING the time, regardless of how small it is. Give up reality TV for one show a week, get up half an hour earlier. Imagine if we all gave up 5 mins of social media per day and used that time for a social purpose? Imagine the ‘good’ we could ‘do’. Surely there’s something taking up a little too much time in your week, which could be put to something better!? More and more companies are dedicating productive time to social initiatives. If your workplace isn’t on the bandwagon, perhaps that’s your first mission; chat with your boss. Last month, I told a café in my area that I didn’t like that they used plastic straws. They initially looked at me like I’d kicked their dog, but guess what? This month, they have a ‘no plastic straws’ sign on their counter. Boom! Change. There will be skeptics … they exist wherever you go… but you’ll be so entrenched in your mission and so empowered by talking to those people jumping on your change train, that you won’t even notice them. Plus, proving them wrong is the cherry on top of your sweet Social Purpose Sundae. It takes a village; trust us, we know. We want to be a part of your village. Every month in our newsletter, we’re going to become a little bit more like Purpose and showcase people in our extended community who are doing something great. Let us know what you’re up to and maybe, just maybe, we can introduce you to a fellow villager who wants to sample a little of your sundae. “To leave the world a bit better, whether by a healthy child, a garden patch or a redeemed social condition; to know even one life has breathed easier because you have lived. This is to have succeeded.” – Ralph Waldo. Founder/Clinical Director – Autism Swim.